Do you know what’s the most sought-after question which I face on a daily basis as being a blogger is? “Which web hosting will be the best suitable for my website?” This one query right there- is something which I have to answer every day to my colleagues and viewers. 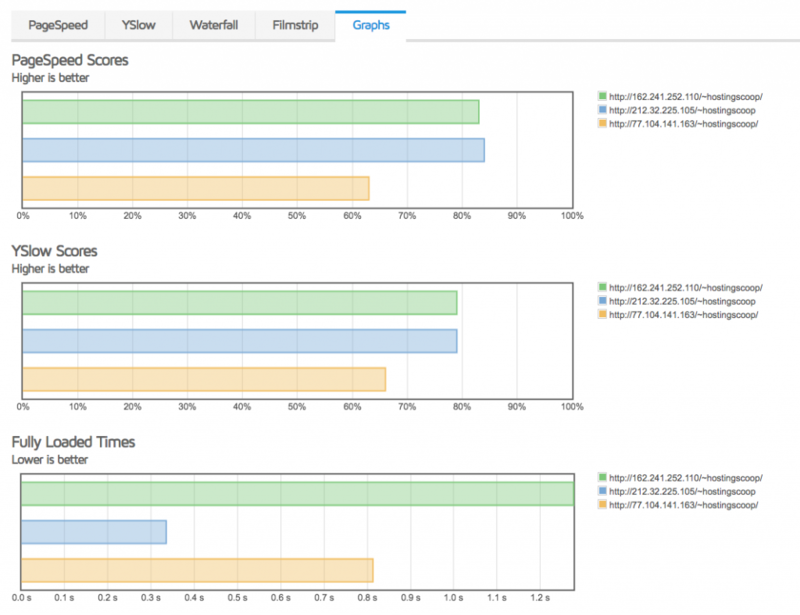 As an upshot, I concluded that I finally needed to do a comparison post including the top 4 web hosts I’ve ever tried. If you’ve stuck by me from the very beginning and have been reading my blog posts, you’d know I don’t usually compare one web host from another. This time, though, it’s quite different. You guys no longer need to be in a dilemma and I’ll help you sort out which web host could be best suitable for you and why. 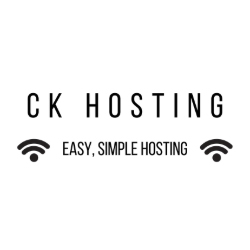 As of recently, I’ve started using a new web host for all my websites and blogs since I’ve had a change of heart to migrate from my prior web hosting provider. Fast forward to now- it was easily the second best decision I’ve ever made (starting this blog still tops the list). The web host I’m currently using is actually the inspiration behind this very article. Now without further ado, let’s get on with it. GetLark is one of the leading web hosting companies which has come into recognition as of late. 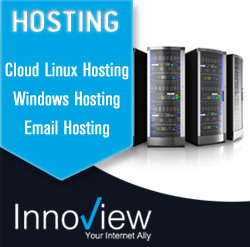 The company’s strong suit remains to be its top-class Shared Hosting services. GetLark makes sure that the services can be afforded by everyone and the user derives maximum satisfaction from their hosting. GetLark’s hosting solutions are pretty compatible and are highly capable to support latest technologies, namely PHP (Versions 5.3, 5.4, 5.5, 5.6, 7.0, 7.1, 7.2), Node.js, Ruby and Rails. Your data is your absolute asset, which if lost, is tremendously tricky to retrieve. Companies which claim they can “Recover” lost data are selling you myths. There’s no such thing as recovering something which hasn’t even been backed up in the first place. Therefore, it’s clear why you should always go for the company which provides you automatic backup services so there’s never a moment where your data ends up getting lost or falls into wrong hands; both of these scenarios would be a total nightmare. Fortunately, all of GetLark’s packages are equipped with daily backups which are carried out every 12 hours. 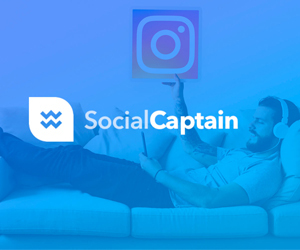 Now, you needn’t worry about your data being corrupted or getting lost when you relegate your website to a lower version. It’s really such a bummer when your web host makes you go through all the hassle of installing apps from your control panel. Instead of making things simplistic for you, there are some providers which will make the whole thing even more difficult for you. GetLark has a built-in installer which enables you to install hundreds of applications with just a single click. Apps like WordPress are more convenient for you to access, thanks to GetLark. You no longer need to go through extreme measures. Just browse through your Control panel and when you land across apps which you like, all you have to do it hit that “install” button. As easy as that! I’ve been using GetLark for a few months now. Before I decided to purchase their web hosting for my blogs, I decided to carry out a survey. I couldn’t risk facing any kind of downtime since it’d have been hazardous for my online rep. Throughout the survey, I had only one objective in mind- to hear honest feedbacks about GetLark from real people and not from endorsed review sites. I started asking some of my colleagues if they’d heard of GetLark and pretty much all of them said that they had. After which I went online and started asking random customers of GetLark whether they liked its hosting quality or not. I’m not going to lie; 9 out of 10 people said GetLark was the best host they ever tried. Afterwards, I checked them out myself and used their hosting for some time. I came to the conclusion shortly- GetLark indeed lives up to the expectations. Facing downtime was a no-go for me. No way on earth was I going to put my trust in a company which isn’t secure enough to offer utmost uptime. Websites are like the very core of your business. If your viewers find your website unavailable, it’s not going to look good for your brand image. The era of the Internet is evolving; therefore, it is our duty to be available to our customer’s day in and day out. Therefore, you must go for a web host which excels in providing exactly for you ask for. There are no fake promises with GetLark and their uptime response is currently one of the best in the market. There is very rare to no downtime at all. GetLark Vs HostGator Vs SiteGround Vs BlueHost- Which host is the best? Now it’s time for the real question- Which web host should I go for? I’ve set out comparisons on the basis of some of the characteristics-i hope it’ll help you decipher on your own which web hosting provider will be best suitable for your website. GetLark undoubtedly stands tall at number 1 spot. 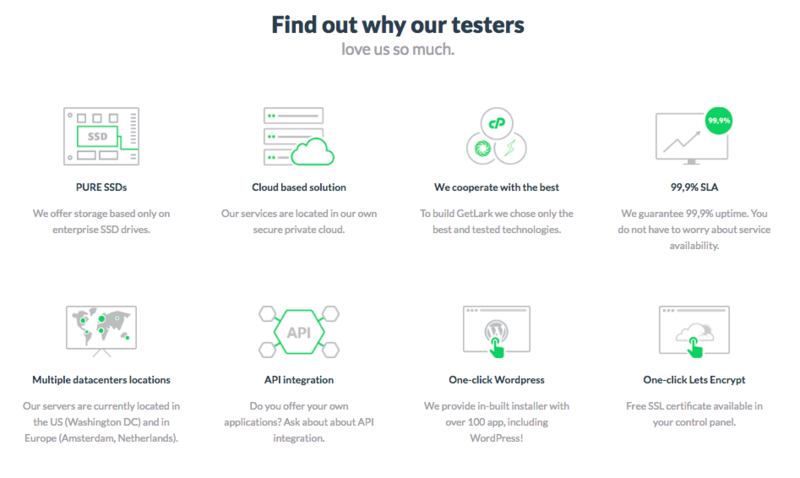 I’m not being biased; I just liked its performance better than most web hosts I’ve tried. The uptime is far better than others as well. Never faced any issue, as far as uptime’s concerned. They are powered by the up-to-dated LiteSpeed and LiteChache technologies. 100% pure SSD storage also helped making its servers lightning-fast. I also made a note to determine which of the latest technologies GetLark optimizes. Some of those include- up-to-dated PHP versions, LiteSpeed & LiteCache, Perl & Python, WP-CLI, GIT, and many more but certainly as note worthy so I’ll leave them out. SiteGround was my favorite host before I’d ever come across GetLark. Its functionalities are amazing and the servers are also powered by state-of-the-art technology which serves double loading speed. 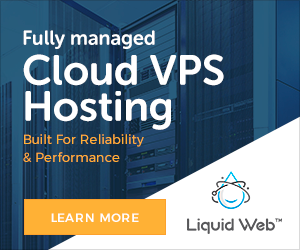 For VPS and custom built dedicated servers, SiteGround is the most apt host. HostGator is powered by the Dual Xeon Servers which, let me tell you, is amazingly powerful. I had no problem regarding my site’s performance and speed. The loading response was quite acceptable, however, HostGator is not known for its strong serves. I’d say the uptime response time was tolerable, though not impressive. in a blue moon with BlueHost. I carried out an analysis and calculated how superior GetLark is in terms of page speed, its sizes and how long it takes to load a page with each of these web hosts. GetLark’s page size optimizes only 391Kbs of space which is lower than any other host out there. The lower the page size, the more space you will be able to save overall. This benefits especially since you can easily add and load more pages without any difficulty. The speed score is 84% which is higher than all of the other three providers. GetLark grants the highest speed thanks to the state-of-the-art technology it’s powered on. Also, it takes approximately 2.1 seconds to load each page. There is no hassle and prolonged wait for the page to load anymore. GetLark gives you the value for your time. SiteGroud takes at least 756Kbs of space, the highest of them all. This makes it a tad tricky to load pages as the pages are prone to optimize more room than usual. Its page speed score is the lowest of 63% and it takes approximately 1.9 seconds to fully load the page. If I dare say so, Siteground’s performance lags in terms of these assessments. However, it’s quite impressive in other aspects. 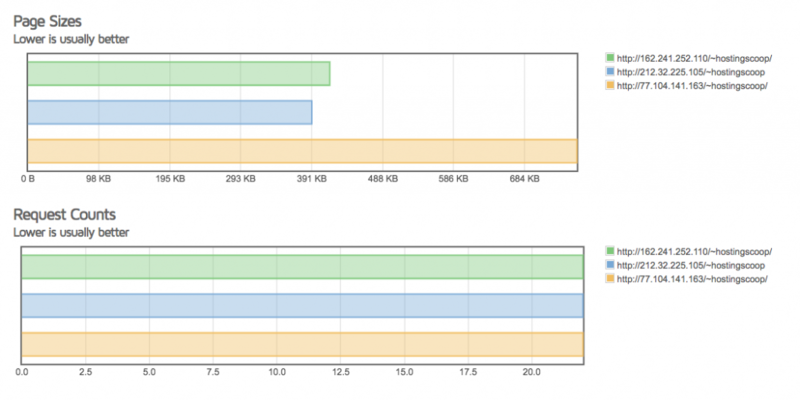 BlueHost page size optimizes 415Kbs of speed. It’s pretty good considering it’s only a few KBs from GetLark’s total page size count. Its page speed score is 83%, which again is so close to GetLark’s score that there is pretty much no difference between the two in terms of the page speed score. The fully load time is approximately 1 second only. It’s a strong competitor to GetLark, I’d say. GetLark’s security comes with an impressive set of safety measures. Encryption is one of those things which must be superlative; otherwise, it’s pretty much useless. GetLark has the Let’s Encrypt technology which, according to some surveys, is one of the toughest. Along with that, GetLark also has a very superior anti-DDoS protection that helps users to steer clear of any outside threats, Viruses, and Malware. As default, SiteGround’s servers are all set at PHP version 7 which automatically comes with some extreme security measures. In addition, they have the latest IDS/IPS systems and the Let’s Encrypt SSL’s technology. There are some rather protective measures taken by HostGator as well. It’s protected from DDoS attacks (UDP Flood). In case of some extensive flooding, HostGator’s data centers are custom built to enable network level flood protection. It’s okay-ish in terms of security and could see some improvement. BlueHost comes with the two-factor authentication, Password Reset Page Revamp, and the basic DDoS and malware protection. To be honest, BlueHost is a globally recognized company. However, its security features are severely lacking when compared to other hosts. 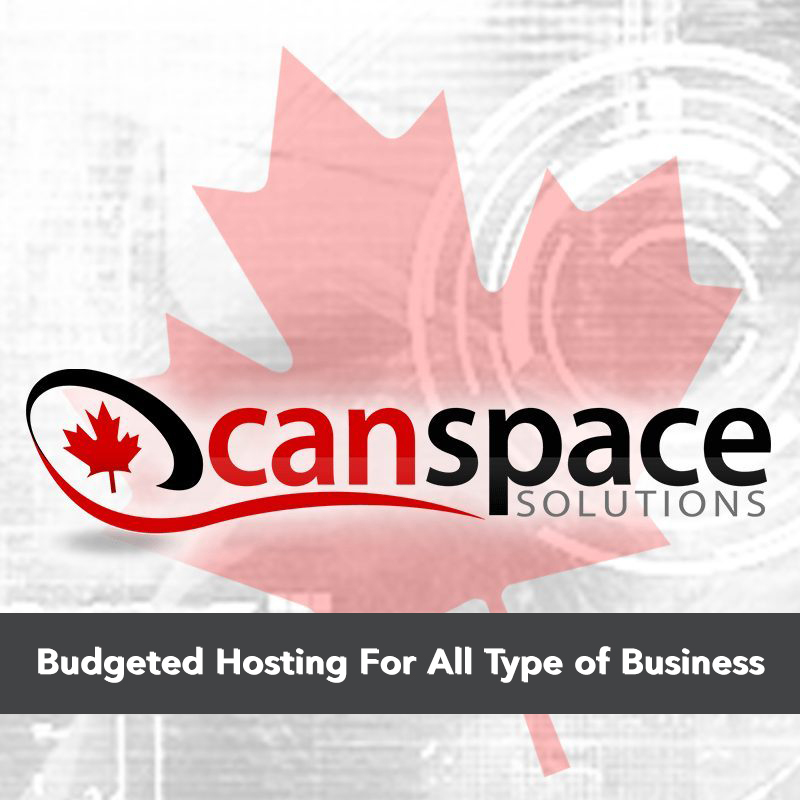 Prices play an important role when choosing a web host. You don’t want to overspend your budgets, nor do you wanna go for those providers which are extremely cheap. There should be a fine balance. 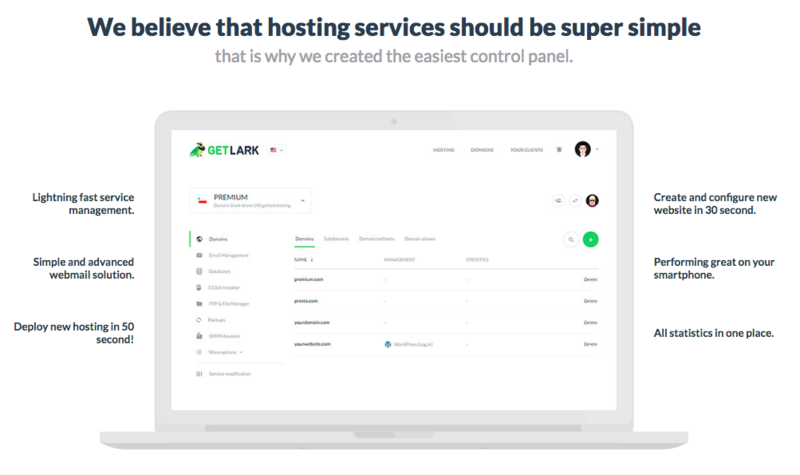 Get Lark is the third in the list due to the fact that it doesn’t offer a variety of hosting plans. 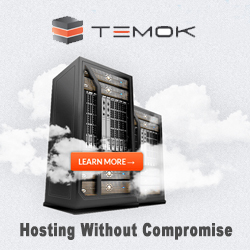 GetLark is not as extensive yet to offer Dedicated or VPS plans. However, the hosting services alone are enough to ward off any competition whatsoever. GetLark’s plans are ranging from $5.00/mo to $15.83/mo. 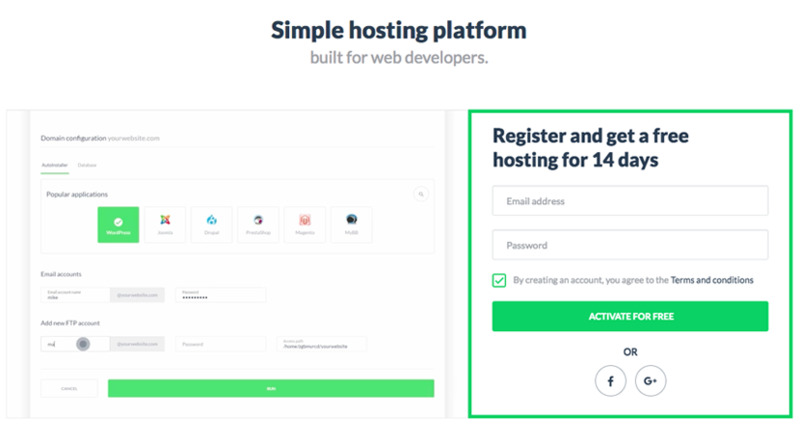 Following BlueHost, SiteGround is a strong contender in terms of being affordable at best. SiteGround’s Web Hosting is starting at just $3.95/mo and it’s WordPress and Cloud hosting are starting from $3.95/mo and $80.00/mo respectively. My least favorite in terms of prices is, of course, HostGator. 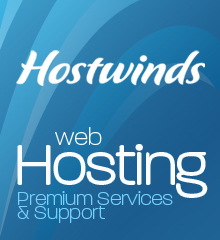 Its Web hosting is starting at only $2.75/mo. However, the VPS and Dedicated plans are outrageously expensive, costing $29.95/mo and $119.00/mo respectively. 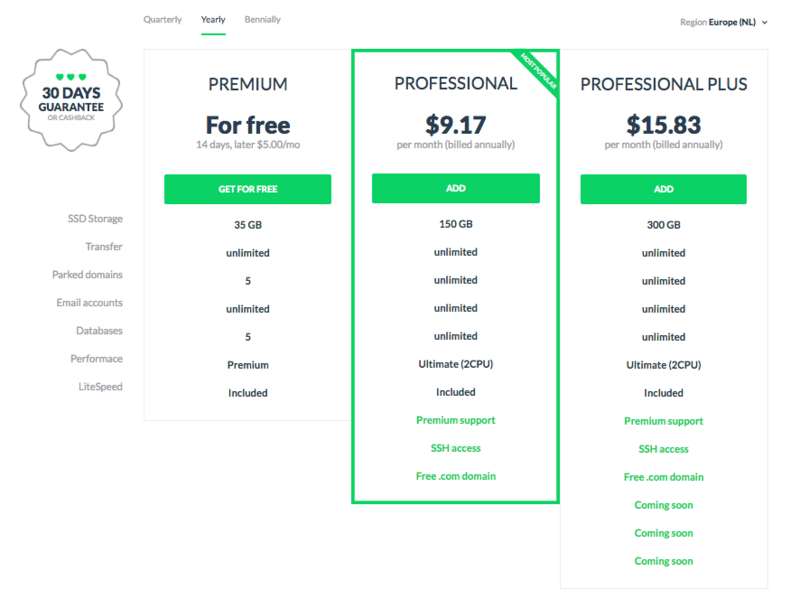 In terms of the pricing range, BlueHost, according to me, is the best among all four. 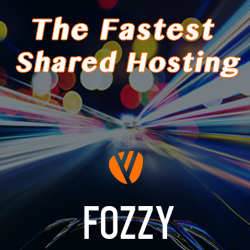 BlurHost’s Shared hosting plans are starting at just $2.95/mo and the VPS and Dedicated Servers are starting from $19.99/mo and $79.99/mo respectively. GetLark falls behind in terms of the refund policy with only 30 days period of notice. However, I feel that two weeks are more than enough to determine its features and capabilities. Both SiteGround and BlueHost have an entire month of money-back policy. 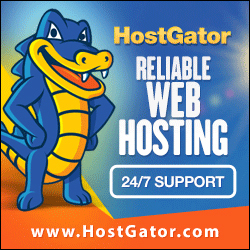 HostGator offers an exclusive money-back guarantee of 45 days. GetLark’s team is on standby around-the-clock and you could easily contact them through support tickets, which by the way, serves superb response time. Within minutes, they are guaranteed to respond back and after that, the team immediately sets out to sort whatever query you may have. SiteGround also provides 24/7 support though I personally believe its customer support is superior to others. They also claim around-the-clock support and could be reached through email or support tickets. GetLark provides a through Migration/transfer of your websites, emails, databases, and even archives for free. SiteGround also offers a free of cost website migration facilities. HostGator has free migration services but they’re rather limited. For example, you can only migrate your WordPress site for free. BlueHost’s migration is not free. You have to pay hundreds of dollars just for transferring your websites. Simply outrageous! That’s right! SiteGround stands proudly at number two. Its pricing is perfect and in terms of speed and uptime, it’s amazingly satisfying. I feel rather conflicted as to how I should score HostGator. It’s great in some aspects and poor in some so I think 3.5 stars sums up my experience with it. I’d give BlueHost a fair rating of 3 stars out of 5. I feel it lags in some aspects. It’s The Winner! 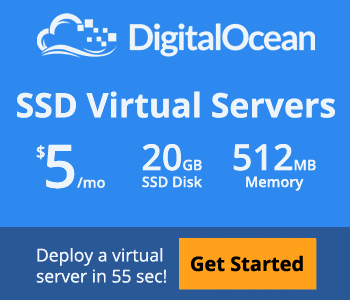 Although it lacked in the pricing criteria and if GetLark offered more services namely VPS or Dedicated Servers than my score would have been a solid 5 on 5. It’s perfect in the sense of speed, uptime, functionality as well as the user interface. Hands down, I feel GetLark takes the trophy home. Well, to sum it all up, I’d say GetLark is the best among the four of them. Other competitors are very strong and I’ve used them all. Though, the level of quality which GetLark serves is just unmatched. From what I’ve heard and read, pretty much every user who has tried GetLark says exactly the same and has only positive reviews to give. That’s a huge achievement for a hosting company. Other than the pricing range, I think GetLark doesn’t need any improvement in any area. Surely there is room for more but with time I think it’ll grow as a company effectively.